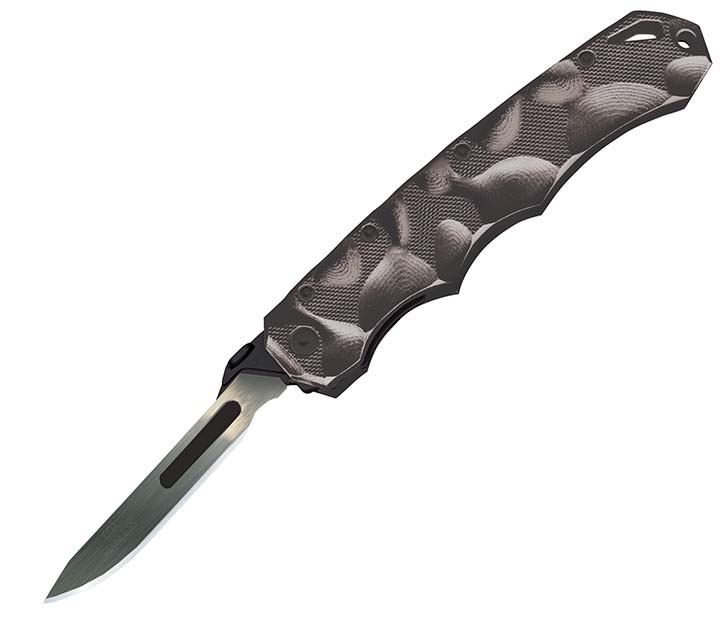 The Piranta-Stag features a new handle design that resembles the curves and contours of the terrain you hunt. Maintain a solid, firm grip with added comfort while out in the field. 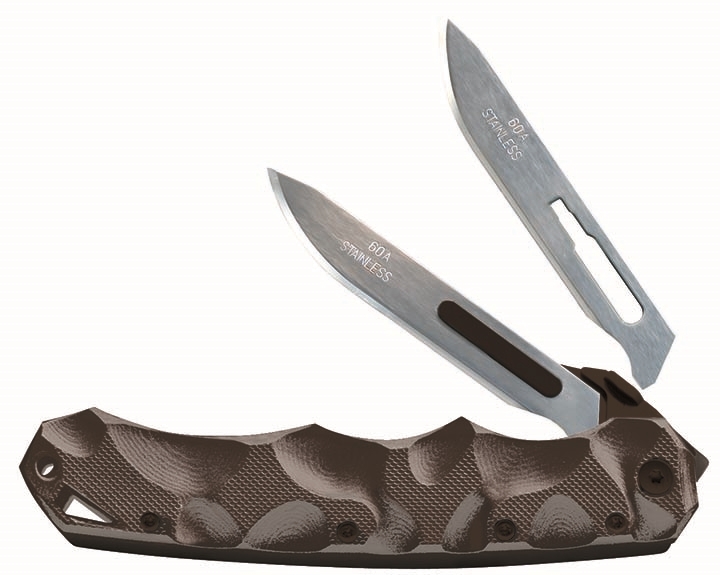 Wet, dry or dirty, the Stag is sure to deliver clean, precise cuts for all your skinning and field dressing needs. ● 6 additional stainless steel #60A blades, 2-3/4"